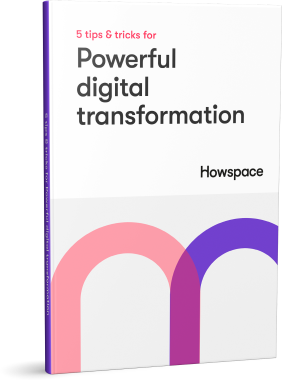 Every day, Howspace is used by thousands of consultants, facilitators, and organizational development professionals who are passionate to drive powerful change. Let us help you to get started with Howspace and begin your journey of transformation. Feel free to get in touch with us any way you prefer. Email or call us directly and we promise to give you a hand shortly. We believe in a dialogue-driven and collaborative way of working. Change happens conversation by conversation and that's why we created Howspace. A digital facilitation platform that brings everyone and everything together. Using Howspace is so easy that anyone can use it, but so flexible that you can run any process with it. Our passion is to help consultants, facilitators and organizational developers to deliver powerful change, learning programs, and workshops. We are happy to invite you to move change forward with us. Reviewing Howspace or writing about us? Let us help you. If you’d like images, logos or you just have questions about Howspace, send us a message – our team will be delighted to help you get what you need.